The Central Bank may offer some form of concession to automakers and vehicle assembly plants to enable them function effectively. 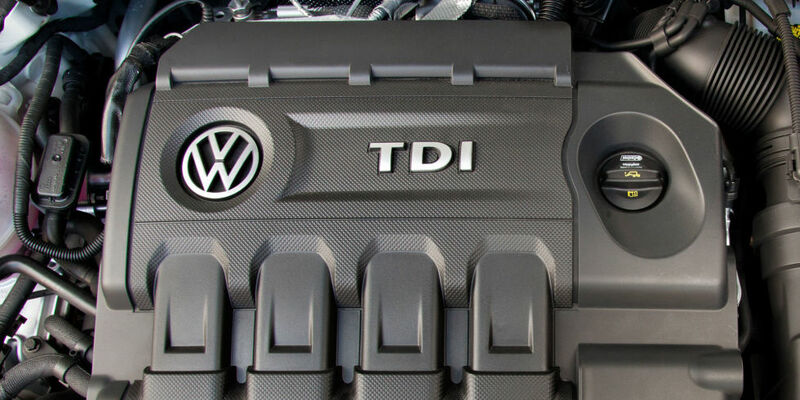 According to The Punch, this indication was given by the National Automotive Design and Development Council in Lagos at the opening of Perfection Motors Nigeria Limited FAW Truck plant and showroom. 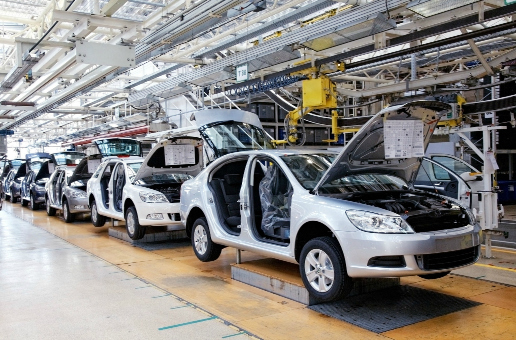 The council appealed to the Federal Government to grant concessions to local auto assemblers in the country to source foreign exchange for the development of the local auto assembly plants. Only in very few cases are importers and travellers allowed to use the official rate window for their dollar or other major currency needs. And currently, the auto industry operators are not on that special list. 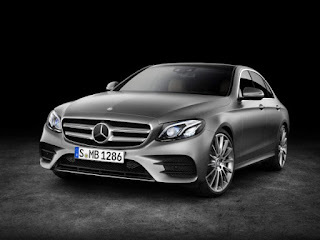 It will be recalled that the Federal Government had introduced a new automotive policy in the third quarter of 2013 with the hope of encouraging automakers to set up vehicle manufacturing/assembly plants in Nigeria. While fully built vehicles are to attract 70 per cent import tariff, the semi-knocked down and completely knocked down components needed by local assembly plants are allowed to be imported at low and zero tariffs, respectively. The intention, according to the government, is to make the locally made or assembled vehicles available at affordable prices. 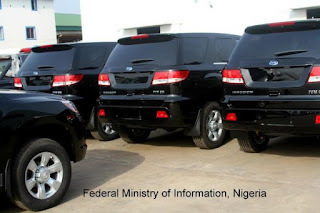 But with the current high forex rate sourced at the BDCs, the prices of vehicles have reportedly gone up by over 60 per cent. 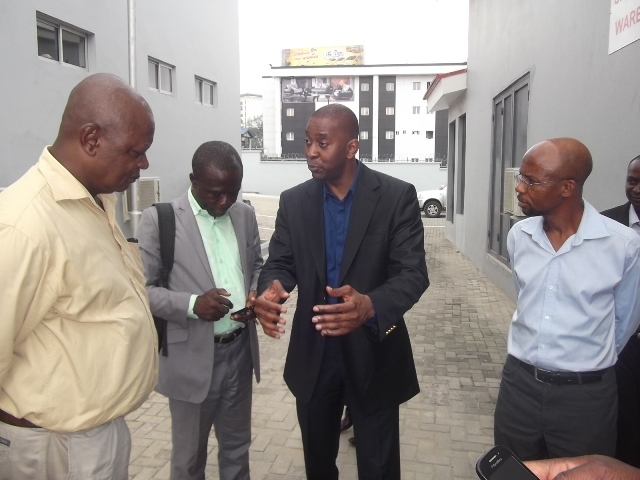 Mamudu said the decision to set up the plant by the company would help the government in diversifying the economy. The firm said that the newly inaugurated SKD auto assembly line in Lagos was capable of producing about 1,000 vehicles annually. Perfection Motors is the sole representative of FAW Trucks in Nigeria. According to Fourie, with this development, his company is positioned to provide “first class sales, after-sales and spare parts to Nigerians.” He said, “FAW, being one of China’s biggest and most prestigious heavy duty vehicles manufacturers, is regarded as the number one selling heavy duty vehicle in China. Most fans of celebrities pray for them to meet their idols at malls, airports, events or other more ideal scenarios. 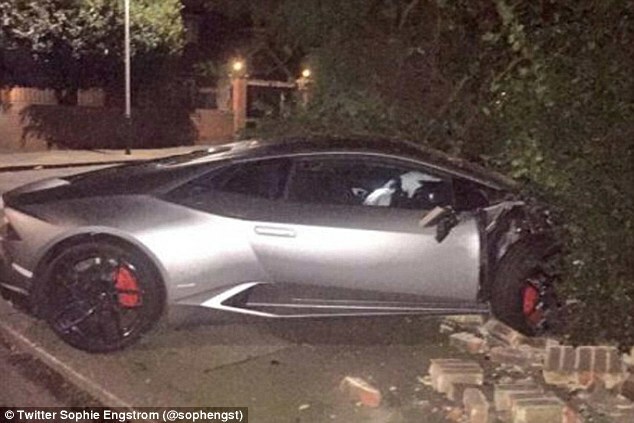 But a British woman is going to have to meet her celeb; Premier League footballer, Senegalese born Diafra Sakho who mistakenly crashed his £200,000 Lamborghini into her wall and Mini Cooper car worth £13,995. Images courtesy of Daily Mail. 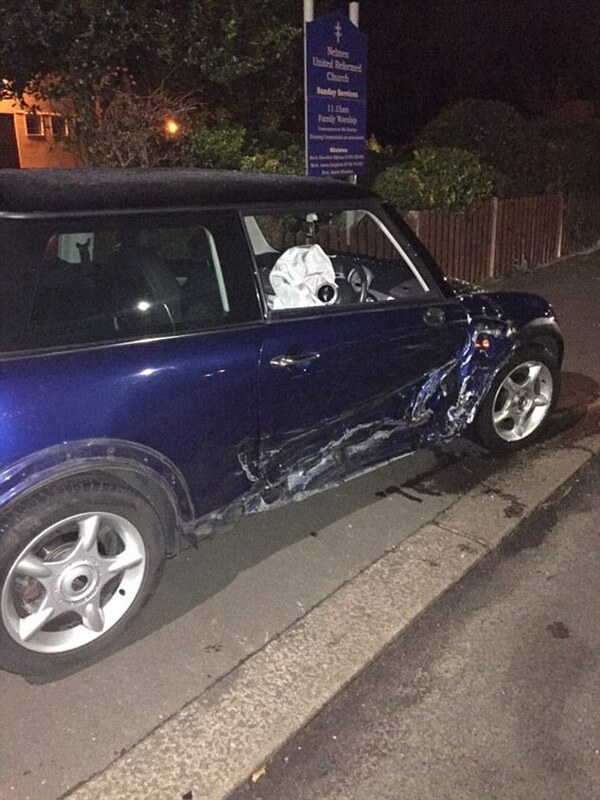 The crash which occurred last night in Emerson Park, Essex, did not harm either the 26-year-old or the woman, Sophie Engstrom, a fashion design student. 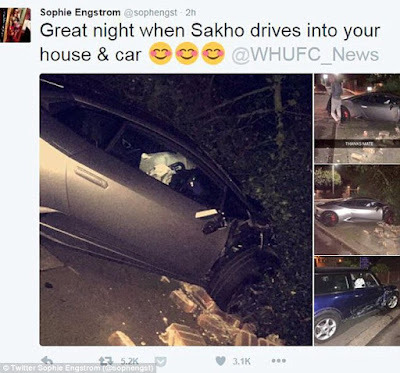 Coincidentally, Sophie is a fan of West Ham and also works there according to her friend, Annie Pollock. Just two weeks ago, Sakho had shared pictures of this Lamborghini on his Snapchat account but has now wrecked his top-of-the-range supercar. Australian rider Toby Price says he has achieved his goal for the first week of the Dakar Rally having retained second place overall in the motorcycle division. The 28-year-old has won three of the seven stages completed to sit three minutes and 12 seconds behind overall leader Paulo Goncalves. In the last stage before the rest day, Price finished fifth behind Frenchman Antoine Meo. Price, in his second Dakar, says he is determined not to drop his guard as the race enters its second week. "My goal is to finish the race and get a podium spot," Price said. The Australian flags at the finish were great to see. It's nice to get support when you're racing so far from home. "We had a good first week, no significant mistakes, and our objective was to get to the rest day in a good position." Heavy storms and torrential rain have hampered the race's first week and led to cancellations and changes. Since encountering setbacks during stages three and four, Price has been able to stay largely trouble-free in the gruelling event in which riders are forced to endure headache-inducing high altitudes. "I'm happy with the work we've done so far but it's far from over, a mechanical or a navigational mistake can destroy everything," Price said. Price, from Singleton in the New South Wales Hunter Valley, had back-to-back wins on stages five and six. "The Australian flags at the finish were great to see. 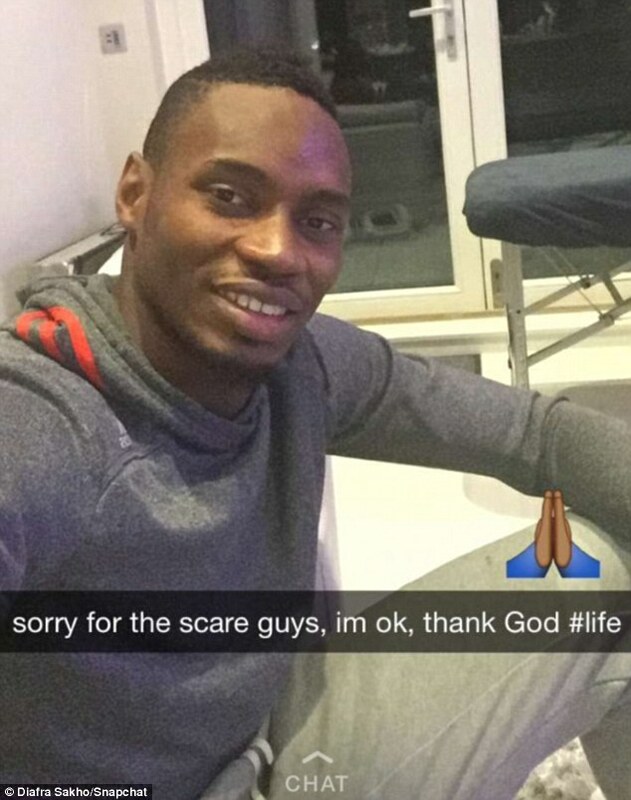 It's nice to get support when you're racing so far from home," he said. In the car division, Sebastian Loeb leads at the midway point by more than two minutes from French countryman Stephane Peterhansel. 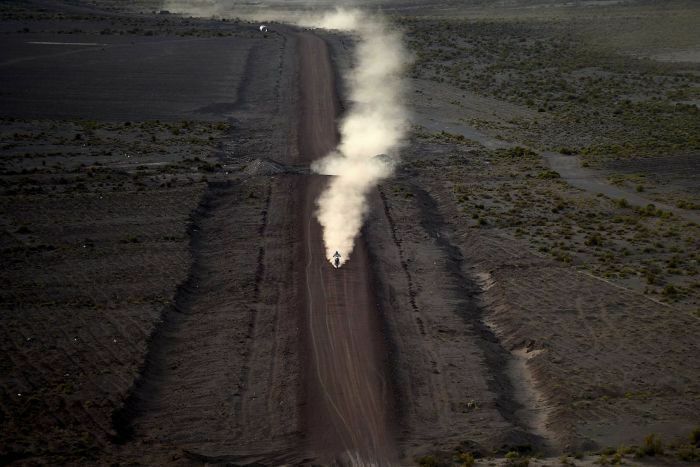 The Dakar Rally, running in Argentina and Bolivia, resumes on Monday and ends next Saturday in Rosario, Argentina. With some very functional and (over) active adrenal glands, some superbikers in Nigeria/West Africa have made and re-written global motorsport history. 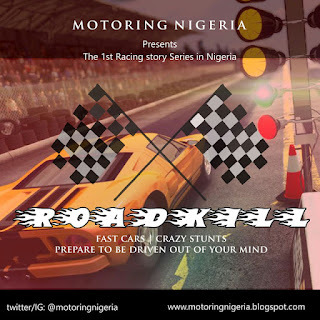 Motorsport in Nigeria, at least the superbike racing part, can definitely be said to have come of age. 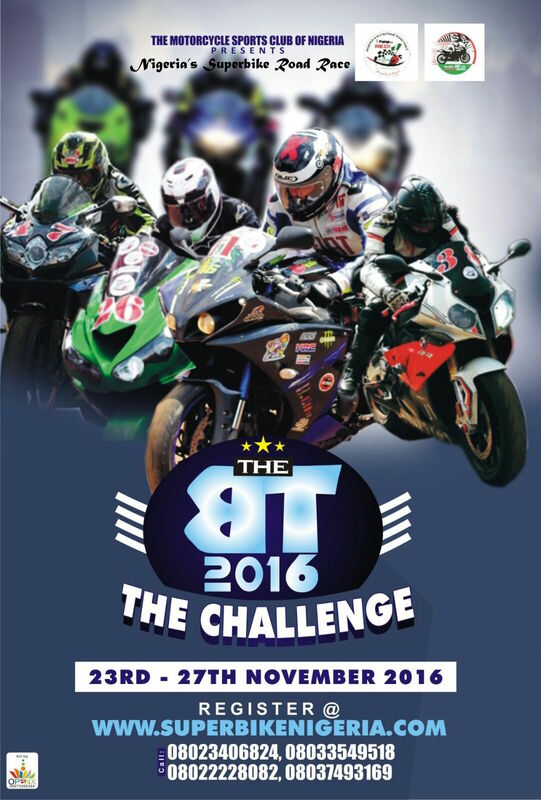 The BT 2016 will be focused on growing the sport the right way for improved safety and sustainability. "Pumping RED" in 2016 will follow a strict set of rules for participants and attendees to try create a conducive environment towards an exciting race day. IF you pump RED (i.e plan to race in The BT 2016 and/or have positive contributions to make to The BT 2016), please click on here and complete the registration procedure. IF you planning to attend The BT 2016, but WONT be pumping RED, please click here for more information on ticketing for the event. For the safety of all, that participants and attendees @ The BT 2016 should come with a convergence of purpose, which is to race and watch/support the racers. Updates on progress and plans and reminders for The BT 2016 will be periodic as the countdown continues. 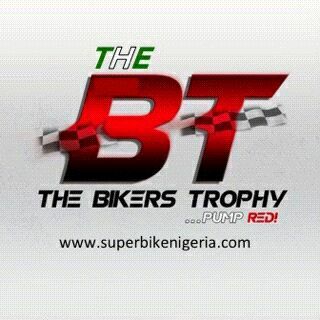 Hope to see you @ The BT 2016, IF you (still) pump RED!